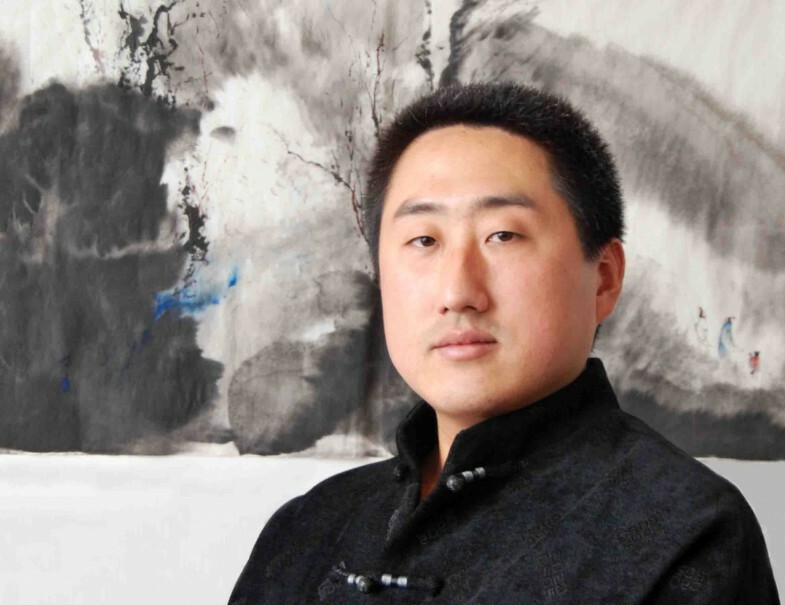 Wang Wei (王伟), also known as Yu Ze (宇泽), owner of the Drunken Ink Studio (醉墨轩主) is currently a Heng Sui Provence Master in Inner Painting. 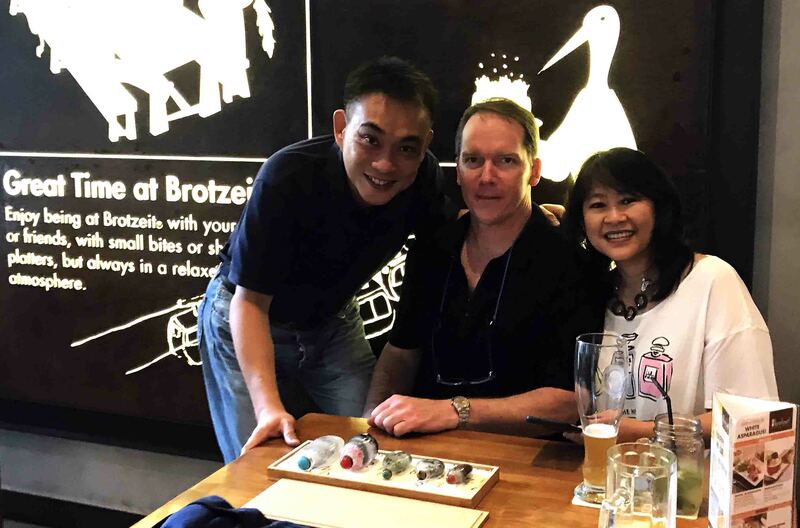 He is also the committee member of the Yi Style inner painting society and also a member of the Chinese Art and Artist Association. 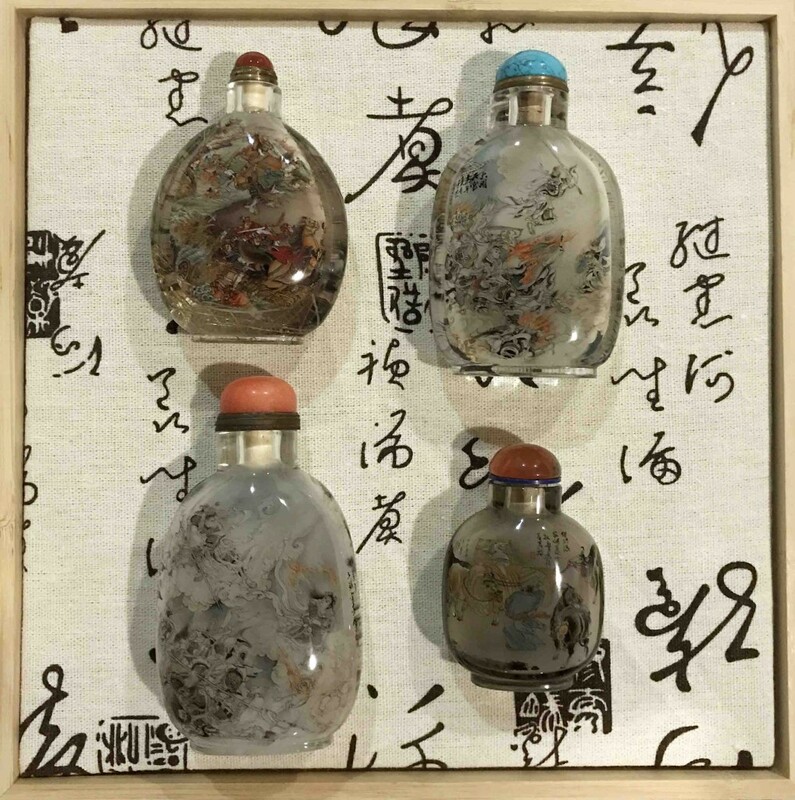 Wang Wei has been painting since a young age and decided to become a full time snuff bottle inner painter in 1999. During his younger days as a painter, Wang learned his basic from master like Want Wen Tiao (王文涛) and Zhang Yong (张勇). Wang later become a student of Master Lu Jian Guan (卢建广). Wang Wei studied intensively the painting techniques of both the olden and modern masters and has since developed his own unique way of painting. His main subjects are landscape in Ink, portrait and figurines described in classical Chinese literature and poem. Wang style of painting is characterized by his deep rooted love of Chinese traditional ink brush painting and their poetic expression of the beautiful landscape in China. His landscape paintings are always expressed in a unique view point, integrating a modern perspective into the essential elements of traditional technique of Chinese ink brush painting. 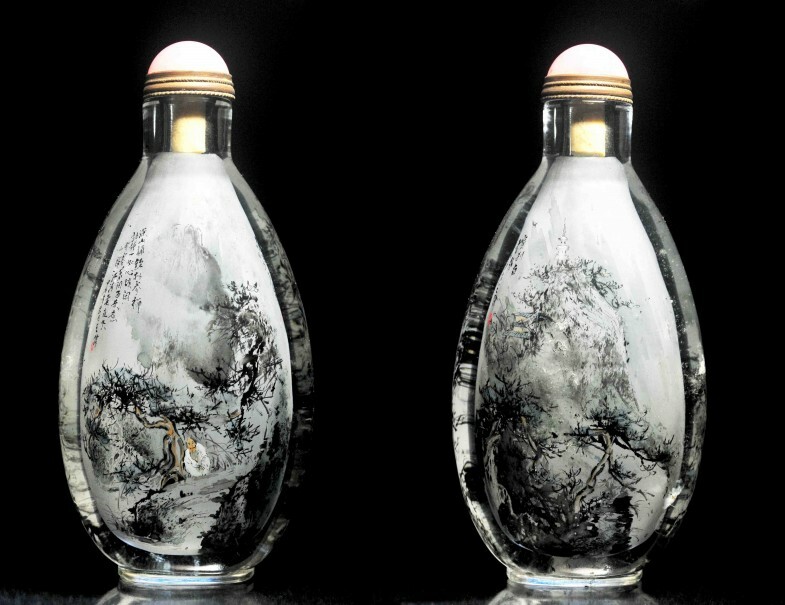 2008 - Awarded the Silver medal (Inner Painting Section) in the exhibition and competition organized by the Chinese Folk Art and Artist Association. 2009 - Took part in the 2nd exhibition organized by the Chinese Folk Art and Artist Association. Wang also spend considerable time in the mountain of Tai Sing, drawing the beautiful landscape of that region. 2010 - Took part and won in the 1st Shang Hai Inner Painting exhibition. 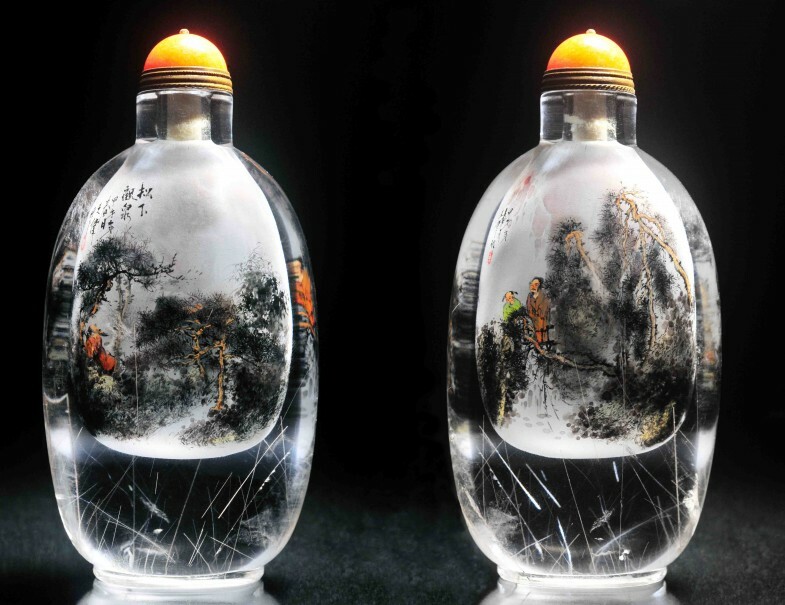 2011 - Won the Bronze Medal in “Hundred Blossom” competition in the Chinese Crystal Art exhibition and competition. 2013 - Bestowed the title of Master Artisan and in the same year won his 2nd Bronze Meda in the “Hundred Blossom” competition. 2014 - Invited to exhibit in Singapore.